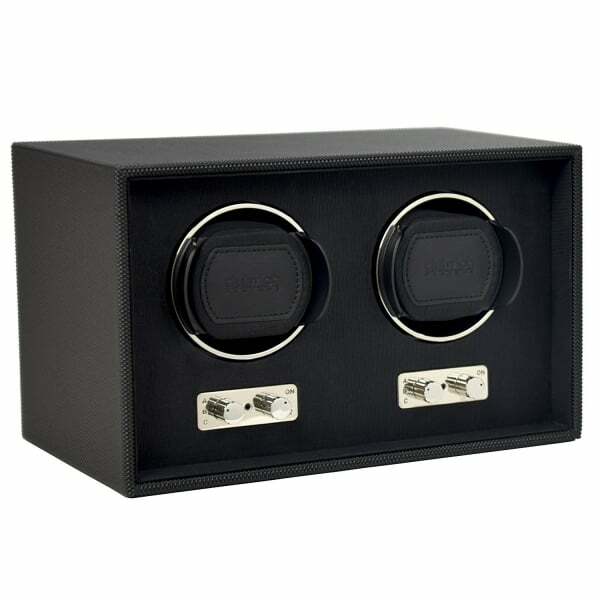 In this collection of premium quality watch boxes there are some unique storage boxes that are suitable for storing up to five watches plus cufflinks. There’s even a range of Dulwich watch boxes that have double watch winding features that offer three rotation options - clockwise, anti-clockwise and bidirectional. Choose your preferred watch box design which all come complete with beautiful interior designs, from red to blue and classic black velvet linings. Lift the lid of each watch box and take pleasure in having your cherished watches and cufflinks displayed beautifully and conveniently. Our range of watch boxes also act as the ideal gift for the sophisticated man or woman who takes pride in their collection of watches. Take a look at our fantastic ranges of stylish women’s watches and mens watches for a whole host of fashionable watch designs. Treat yourself or a loved one to a brand new watch today and spend over £30 to receive free UK delivery from Hillier Jewellers.